KENT @ "BIG 5 DUBAI 2018"
The Big 5 is the largest construction event in the Middle East and is the only place to meet thousands of international suppliers in your dedicated product sectors. Network and get the latest industry insight under one roof over four packed business days. We made best of the opportunity to create awareness about fire safety and making understand about the Kent Automatic Smoke and Fire Curtains practically. It was the best opportunity to discover the cutting-edge product innovations, expertise and the latest industry news. “We got the opportunity to get in contact with people from different geographies and segments under one roof”. It was majestic and prolific to witness the show. 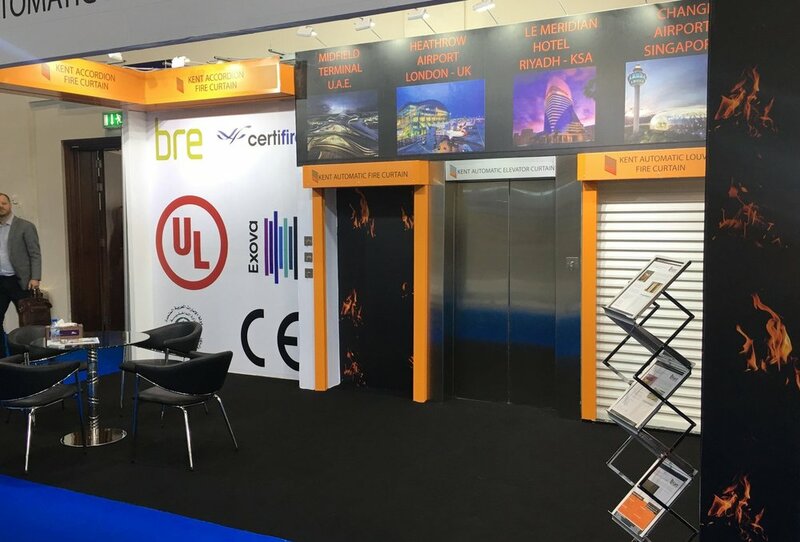 FIRE INDIA, Asia's largest Fire and Safety show is a major catalyst to the growth of the Indian fire and safety industry. The show aims at bringing together key industry buyers, suppliers and other key stakeholders, facilitating the exchange of ideas, sharing of knowledge and opportunities to network on a large scale. It was great pleasure and success for Kent to make people aware about our fire safety product with platform of FIRE INDIA 2018 . Attending the show provides an exclusive opportunity to gather competitive intelligence, identify new industry trends, get a view of a wide range of products, gather targeted leads and network with peers.Along with the latest innovations and new product launches, a product range of fire vehicles, personal protection, passive and active fire protection and security equipment were showcased at the show. It was prolific to witness the innovation and new opportunities by being part of this show. You may require Fire Curtains! What is a fire Curtain?